Enriched with vast industrial experience, we are involved in offering a qualitative range of Stainless Steel Pipes in Mumbai, India. 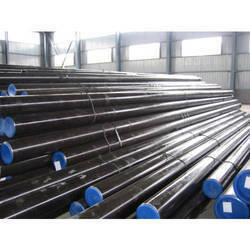 These pipes are widely applauded for robustness, dimensional accuracy, rugged construction and optimum quality. 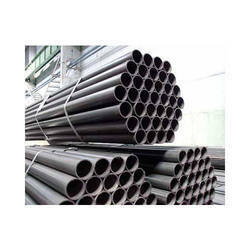 Made following world class standards, these pipes are widely used for proper flow management. 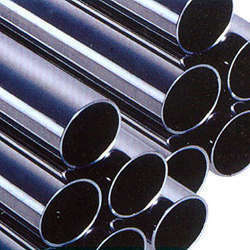 Our pipes find wide application in various industries owing to rust resistance and dimensional accuracy. 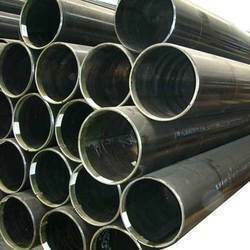 In 1993, we got engaged in supply of steel pipes of commercial and surplus grade extensively used in infrastructural applications. In 2001, we got authorized dealership of Maharashtra Seamless Ltd. which is a flagship company of the JINDAL Group. With this association, we started supplying various bulk products to numerous industries such as Paper, Textile, Sugar, Cement, Engineering, Oil Refining,Petrochemical, Gas & Chemical Processing and Power Generation. Even from the beginning, we always adhered our operations to international codes &standards. Our success was measured in surveys and facts as in 2007 our organization was declared as the highest lifter of seamless Pipes (6500 tons)from MSL. Further in 2008, we started expanding our business with stocking of Steel Fittings, which was a supplementary product by Maharashtra Seamless Ltd.In 2009, we were honored with ISO 9001:2001 Certification for our reliable and efficient product range. The entire range is sourced from the eminent vendors of the market like Maharashtra Seamless Ltd, ISMT Limited, Jindal Saw Ltd and LLOYD which is a leading manufacturer of Japan, Brazil, China Ukraine& Romania. At the vendors end. these products are duly inspected and certified by Third Party Inspection Agencies such as Bureau Veritas (B.V.). Further, we are the authorized distributors of Maharashtra Seamless Limited (MSL) for Seamless Pipes & Tubes, Electric Resistance Welded Pipes & Tubes and Pipe Fittings. Thank you for visiting Tubes India.